In 2008, the M3 project set out to explore the potential of the VLE, Moodle, a Microblogging tool, (Twitter) and the MUVE, Second Life, with three different groups of users within the educational community and compare integrated use of these tools and environments. A key aim was to investigate effective ways of embedding synchronous online tools, which are already establishing themselves as effective for social networking, and exploring the use of others that offer a 3-dimensional opportunity for learning. A Twitter plug-in for Moodle was to be one key deliverable of the project. The first two groups of participants comprised student communities involved in a language learning/acculturation course and/or studying educational technologies, one involving primarily face-to-face interaction, and the other learning at a distance online and potentially, 'on the move'. A particular interest was in using this approach with international students undertaking a tutored online course entirely at distance before coming to the UK to begin studies in higher education. 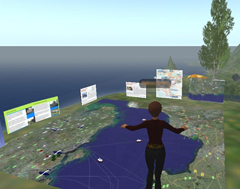 The final group were to be recruited from interested parties from within the Second Life and JISC communities, including teachers, researchers and Second Life practitioners. The code and instructions for the set of Twitter blocks developed for Moodle can be found at http://code.google.com/p/m3-twitter-moodle-blocks/. Please note these blocks are open-source beta versions. They require further work to be fully functional. If you download and improve them, please email us and share your changes so that we can disseminate further. Further information about the M3 project can be found on the M3 Project page on the JISC website. The M3 Project final report is available from the JISC website. MUVE, Moodle and a Microblogging Tool: Blending technologies to prepare international students for language and life in the UK. Presentation at Eurocall 2009 Conference (9-12 September), Gandia, Spain: Presentation (pdf, 602kb). Diagram 1: The M3 project can offer a means to keep a virtual learning community connected through personalised delivery and contribution of content as shown in the diagram below. 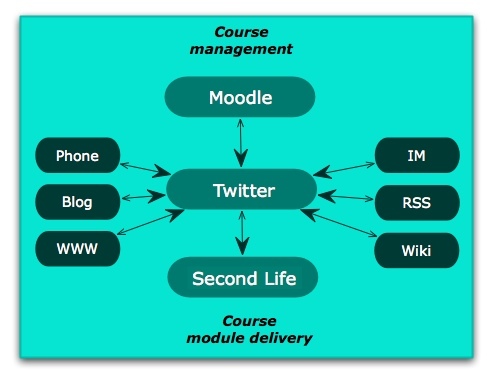 Diagram 2: How does Second Life work with Moodle? Diagram 3: How might Twitter be used?